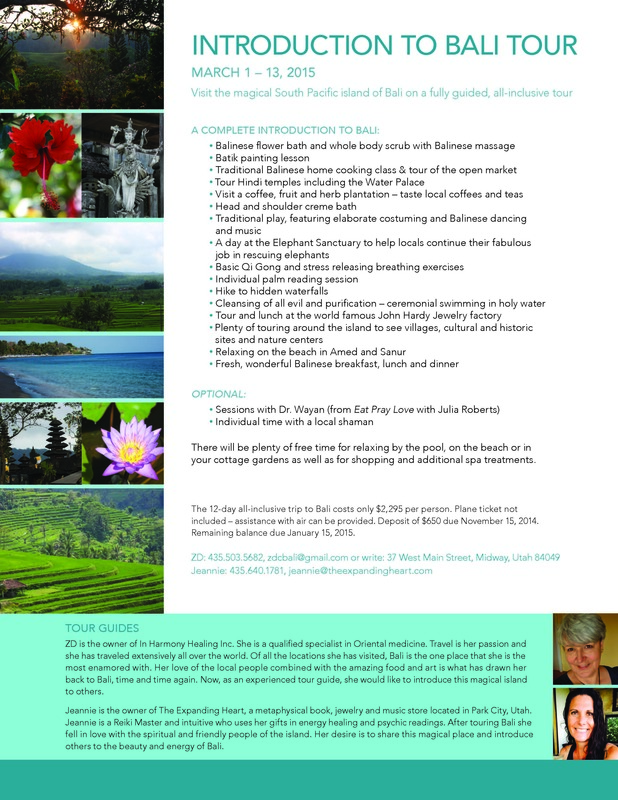 Flyer: Visit the magical South Pacific island of Bali on a fully guided, all-inclusive tour. This provides a nice overview of the trip and basic trip details. This attachment to the Travel Agreement explains the trip itinerary, what is included, what isn't, and misc. additional costs one might incur. Great suggestions on what to pack, what to leave home, what sort of luggage is best, along with a few other helpful tips. Terms & Conditions: All the little details we need to have spelled out which you will need to review and agree to before joining this great adventure. The important stuff like health and safety tips, vaccinations, passport requirments, visas and much more. Required reading. Please complete this and return along with your deposit and any other documents required.